. :: PLATINUM CLUB…. 100 YEARS OF EXPERIENCE ::. IF YEARS WERE CONSIDERED A BENCHMARK FOR THE LEVEL OF EXPERTISE, THEN THE FOUNDER OF PLATINUM CLUB CAN TAKE PRIDE IN 100 YEARS OF EXPERIENCE. WITH 55 YEARS OF EXPERIENCE IN THE FIELD OF ENGINEERING CONSULTANCY, ENG. HUSSEIN SABBOUR HAS ALSO DISTINGUISHED HIMSELF WITH 25 YEARS OF EXPERIENCE IN THE FIELD OF REAL ESTATE INVESTMENT AND IN AL AHLY FOR REAL ESTATE DEVELOPMENT FOR 20 YEARS, IN ADDITION TO ANOTHER 20 YEARS OF EXPERIENCE IN MANAGING THE MOST ESTABLISHED ATHLETIC AND COMMUNITY CLUBS IN EGYPT. Platinum is famed for its rarity and preciousness, surpasses the value of gold, and exceeds the strength of metal, which is why Al Ahly for Real Estate Development chose the name “Platinum” for its latest creation, the crown jewel of its projects. Al Ahly for Real Estate Development has presented its clientele with an array of projects including commercial, administrative, medical, touristic and recreational establishments. And now it brings to the public the latest addition to its portfolio, Platinum Club. 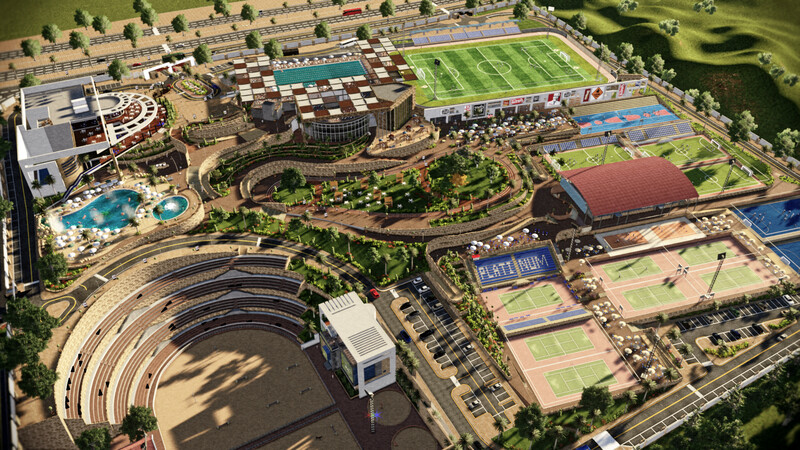 Platinum Club is the first fully integrated recreational sporting club constructed over 28 acres of land in the heart of New Cairo surrounded by the AUC campus and neighbouring residential compounds, including a football academy, a horseback riding facility, tennis, squash, handball, and volleyball courts, championship fields and separate training grounds for both children and adults. The club comprises four swimming pools, the Olympic pool which has a heating facility to accommodate different water sports such as swimming, water ballet and water polo all year round, a swimming pool for children, a recreational sandy beach pool with artificial waves and a private pool for ladies which is complemented with its own spa and Moroccan bath. The infrastructure at Platinum Club was tailor made with both comfort and convenience in mind, with underground garages and outdoor parking near every court available for all members, vast greenery, open spaces and numerous seating areas.